Re: hydrofoiling in "normal winds"
hey Peter . . .
is the 3.5 m2 the Takoon LOG KID ? 2015 model? Could not find your colours. It also looks like you have the rear pigtails on the fastest setting for the kite. max wrote: hey Peter . . . I could buy a blue/dark blue like (the only one) shown, but asked if there was a "brighter" colour (we all have different likings), and got a 2015 instead. As I understand it basically the same 2015 and 16, just colours changed. Yes, put back to the fastest setting - works fine with my normal 52cm bar, and easier to reverse the kite up. 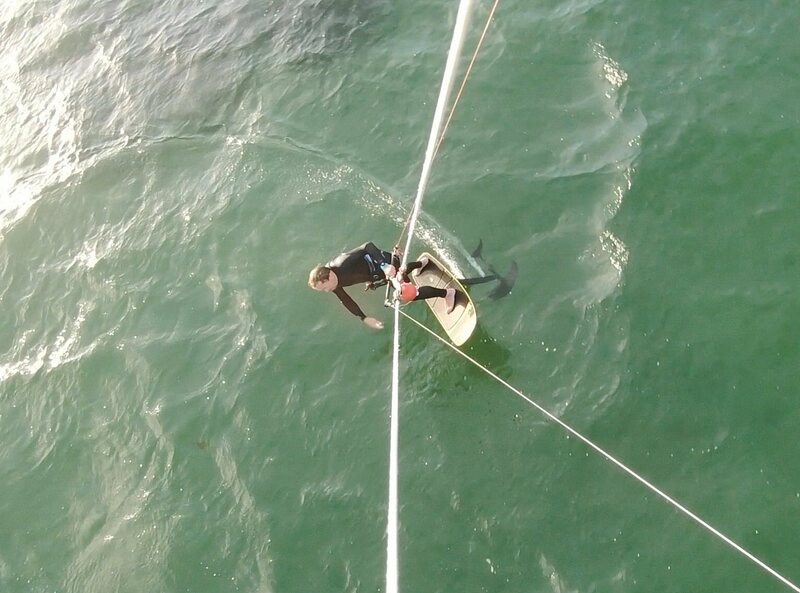 Awesome, worked like a dream in "normal winds" on a "normal board" with "normal lines"
Dont know if off topic, but I know precisely what wind works for all kitesizes, both hydrofoils and waveboards - so would just share my first experience on a "non" hydrofoil board with a small kite. And as I think many (most) of us ride waveboards also, and for me only when wind to 7-8m2 and smaller - it is good to know where the crossing point is from waveboard to hydrofoil, as we often have to decide what to ride. 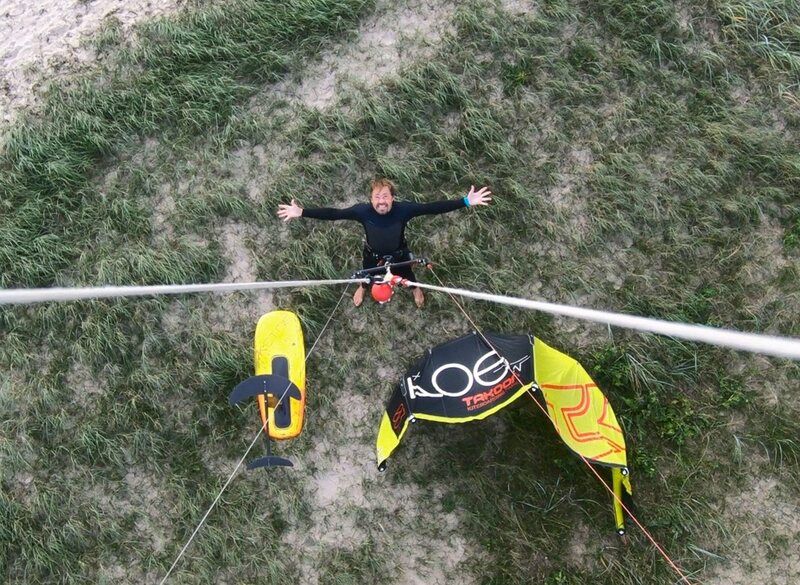 So the rule of thumb 2m smaller size for the Hfoil holds for all sizes, also for the smallest kites, right? does the 3.5 have a good amount of bar pressure so you can tell where it is in the sky ? how is it with speed? . . . not on steroids type of kite. I have never used a kite that small . . . I have a 5m Rebel as my high wind kite and I find it to be a good kite for those times. I have mostly been using a 2016 model 6m Neo (possibly more bottom end than most 6m's) on my Zeeko White and blue alloy since getting one a month ago and love it compared to my other kites that tended to stall more than i liked. Am able to get going on the 6m and have a good time on it when TT users are barely holding ground on their 12's. Mind you, our area is pretty well onshore breezes most of the time. Am looking for something smaller than the 6m to use for really windy days hence my questions about the 3.5m. Great looking kite shape wise. Your sizes are incredibly small for the wind speeds for me Peter. We are the same weight. I think of going 6m in 20 knots on HF Then I would think 6m to around 30 knots. For waves I would go 8m to 30 knots and 6m 30+. Even if I look at the local strapless dedicated sb riders locally non of them have a 3.5m and they regularly fly 6m, 7m and 5.5m up to and beyond 40 knots. Do you not jump at all? is jumping completely out the picture? The kite sizes you list in the wind sizes noted would be terrible at any sort of jumping. Even when i'm doing a dedicated wave session I still want the ability to punt over big slabs of whitewash. Then again Waves a 50% of fun for me and jumping the other 50%. So I want a kite to do both at the same time. This thread is 2 years old now, could be interesting to follow up how things are now? I was out yesterday, still got my now precisely 2 years old 3.5 m2 LOG kite. 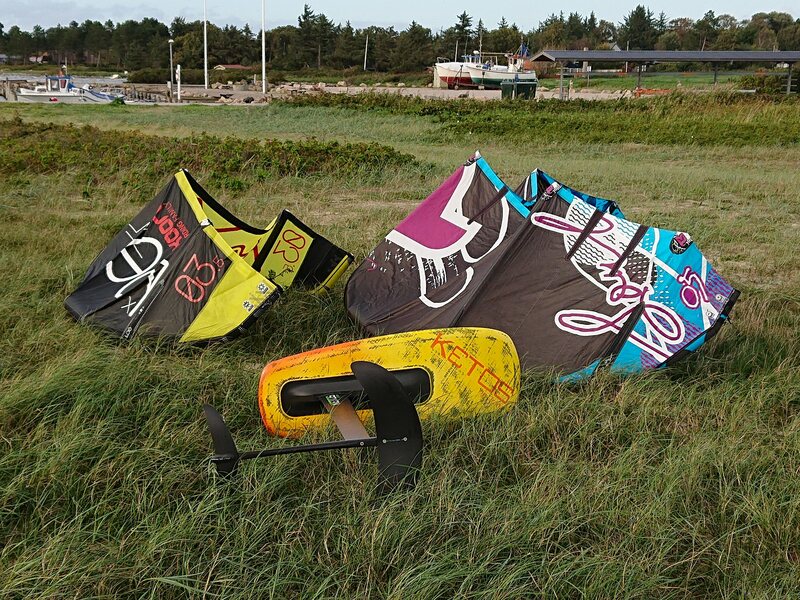 And have some newer kites 5,6,7,8,9 and also bigger for when sub 10 knots. Out yesterday maybe 20 knots of wind, onshore and only choppy wind waves further out - using the smallest Pocket board and a normal (790 cm2) wave wing not even the more than 50% bigger surf wing where you ride small kites. Then wind dropped to maybe 15 or 16 knots, so took a "big" kite, the 5 m2 Soul - and rode till the sun downed, with some friends, great evening. Using 27 m lines on both, @77 kg, works spot on for me particularly with the small kites. How are you guys/girls regarding "normal winds" nowadays - especially with the "surf" wings things have changed dramatically right? I rarely rig anything under 11m now lol, and the 11m its only when its 16+ knots. If its 20+ ill go for some TT unless for some reason i get flat water. Foiling difficulty is more about the water conditions that the wind. You do need stupid small kites for 20+ knots. 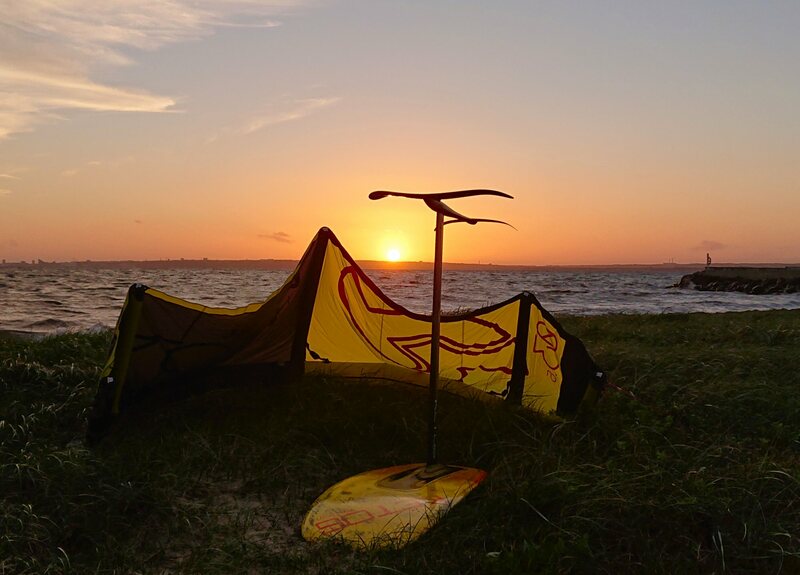 One you have the right kite for the conditions its all good. But the winder the harder the water conditions generally. So by inference it is harder to foil in higher winds.